Percocet is a brand name medication that contains both acetaminophen and oxycodone. These two drugs together can relieve a person of mild to moderate pain when prescribed by a doctor, and Percocet is often heavily abused for its ability to cause pain relief and euphoria. Even though Percocet is not exclusively oxycodone, the latter is the main ingredient the medication and, therefore, street names for both drugs can sometimes be used interchangeably. The most commonly used street name to refer to Percocet is the term Percs. It is merely a shortened version of the drug’s brand name, but it is used to throw off others when those discussing the drug don’t want to be caught. Though the term Percs is probably used more than any other across the board to refer specifically to Percocet, there are others that are more regional or used more among certain age groups. Blue dynamite is sometimes used to refer to the Percocet brand with no Tylenol in it, and Paula is another common street name used for Percocet. Roxy is also used to make reference to the drug and is based on the brand name Roxicodone. No buffers is another general street name used for Percocet, while 512 is the term for generic brand Percocet (as it “prints 512 on the round white 5mg Percocet pill”) (PMP). While there aren’t many diverse street names used for Percocet, many of the blanket terms for oxycodone are used in this sense. It is useful to know street names for drugs so that you are aware when people are talking about them, and potentially using them illegally. According to the DOJ, oxycodone is “marketed either alone as controlled release (OxyContin) and immediate release formulations (OxyIR , OxyFast), or in combination with other nonnarcotic analgesics such as aspirin (Percodan) or acetaminophen (Percocet).” Oxycodone is used in many different medications to treat pain and is heavily abused by those looking for a temporary high caused by its effects. Many of these are based off the drug Oxycontin which was extremely popular for a long time within the community of opioid abusers. 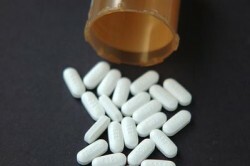 “Oxycodone abuse has been a continuing problem in the U.S. Substances Act since the early 1960s,” and this issue does not end merely with Percocet abuse. Why Should I Know These Terms? Knowing these terms can help you notice when someone is abusing Percocet or other oxycodone-based drugs and may be in trouble. The longer someone abuses Percocet, the more likely they are to experience addiction. According to the PMP, “Left untreated, oxycodone and acetaminophen addiction is highly damaging — both to the user’s physical body as well as their overall sense of well-being.” Knowing the street names for both Percocet and oxycodone in general can help you provide aid to someone before things get worse and they experience the dangerous and even deadly issues caused by Percocet abuse and addiction.